Wow it was only two weeks ago that I declared July to be a No-Spend month for me. Well I have no defense for the Winnable purchase. I’ve been ill, I was feeling sorry for myself. I saw it in Staples and had to have it. It wasn’t on sale. It wasn’t something I’ve been wanting for a long time. I picked it up, hugged it and it hugged me back. So it had to come home with me. It may not win any conventional beauty contests but I think it’s beautiful. And it’s bigger than my usual size: 10 x 8.25. And it’s refillable which I LOVE. 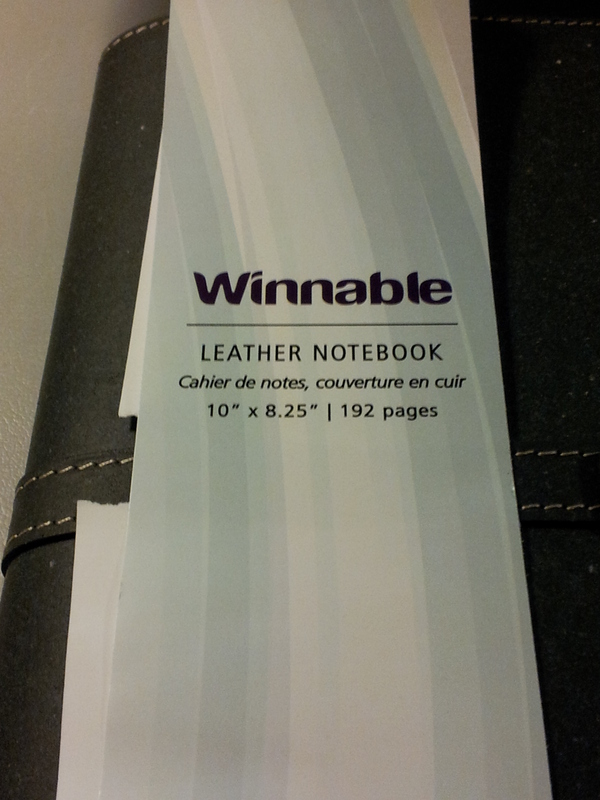 The paper band that held it closed says it’s from the Winnable company, located in Markham, Ontario. It says it’s leather but it doesn’t feel or look like leather to me; it feels more like a recycled material. I looked for this notebook on the web page but couldn’t find it. I will contact them when I need a refill, although I guess Staples may carry them. I think it was the paper I fell in love with. The lines are just a touch narrower than standard and the paper takes fountain pen ink very well. 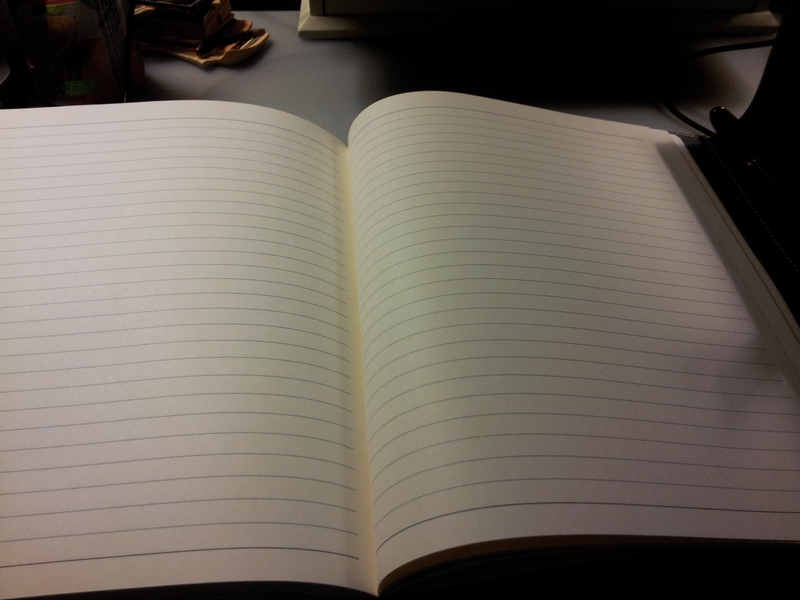 There is no information on the notebook itself or on the webpage so I have no idea what kind of paper it is. 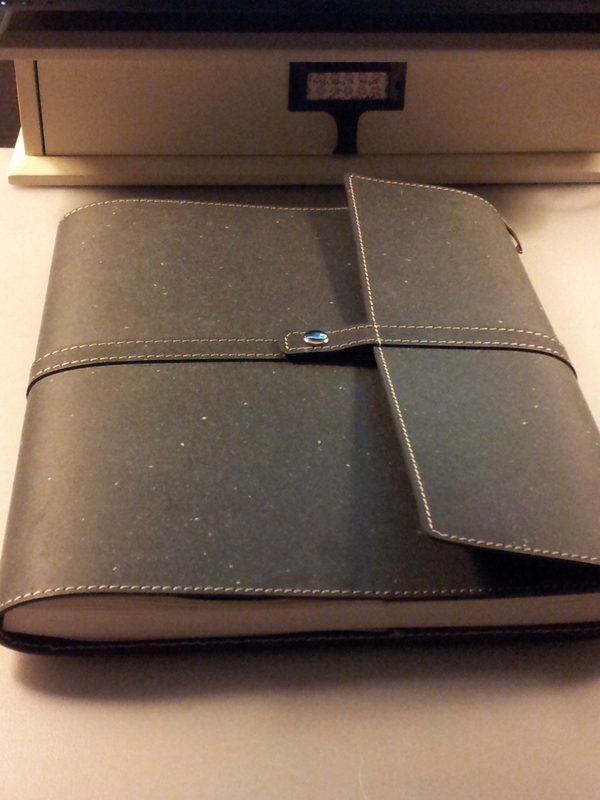 I’ve been writing in it with my Parker Urban with Black Quink only. I haven’t wanted to change colour once, which is unusual for me. 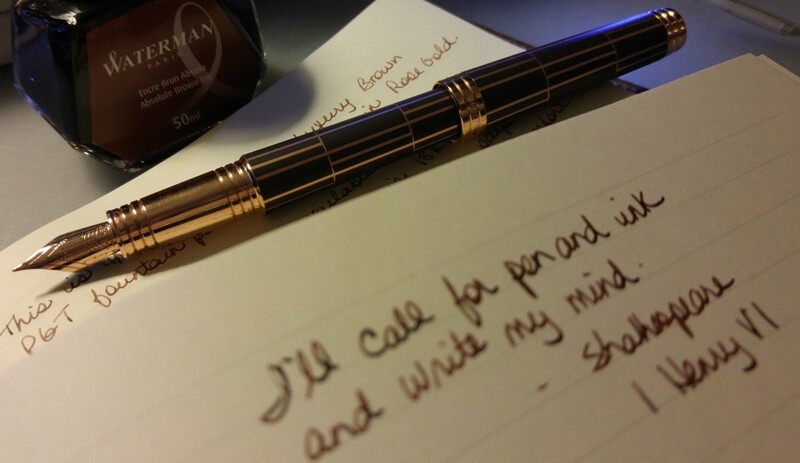 I just can’t stop writing in it. I haven’t written in any of my other journals since I got this one. Musing on why I had to have this notebook, in the middle of a No-Spend month. Thoughts on retail therapy and why I needed it so badly. Celebrated a friend’s birthday at Japanese Garden. Never been there before; food is fabulous but the service is not. Good time with friends. My voice (or lack of one, really) is very entertaining. Privately whining about how awful I feel. I’ve discovered lung infections are no fun. At all. In an effort to stand up to my lungs and show them who’s boss, I went to a second-hand record store with my husband. We had fun and I fell into bed that night exhausted. Slept a couple of hours and then my lungs reminded me who REALLY was running the show. Agreed, food was great though.